Last April, the Deepwater Horizon tragedy showed us how crude oil can devastate an environment. But it’s not just explosions or spills that have hazardous effects on our fragile ecosystem. 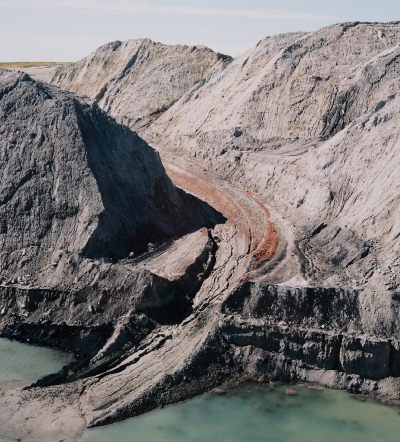 Sometimes, damage can be continuous and insidious—like it is at Colstrip, an enormous coal mine in southeastern Montana. Colstrip has the distinction of being one of the nation’s dirtiest, most polluting plants: each hour, it belches more than 400 pounds of sulfuric acid into the air, and its waste also filters down to the local water table, spreading toxins far and wide. How do you convey this kind of unremitting, non-sensational damage? David T. Hanson took up the challenge, spending three years documenting the Colstrip plant and its surrounding town. His beautiful, melancholy images, which are now published in Colstrip, Montana (D.A.P. ), were actually shot in the 1980s, but given our growing concerns about skyrocketing energy costs, peak oil, and environmental decay, they seem even more timely now. The images are unsettling for several reasons. Hanson has a keen eye for color and composition, and there’s a classical beauty to most of the photographs. Shot from above, even deep gashes in the landscape and irridescent green waste ponds can look attractive, like a Rothko or Diebenkorn canvas. Even in devastation, there is beauty: anyone who doubts that need only look at Joel Meyerowitz’s photographs of Ground Zero or Robert Polidori’s studies of empty rooms after Katrina. The real winners of the 2010 Natural Talent Design Competition are likely to be the residents of the Broadmoor section of New Orleans, a low-lying neighborhood flooded after Hurricanes Katrina and Rita. That’s because the four innovative home designs selected as finalists in the contest will be built in that community in the coming months, bringing affordable, LEED platinum-certified, handicap accessible 800-square-foot houses to a place still badly in need of rebuilding five years after the storms. The designs, created by students and emerging professional architects, will be on view at the Greenbuild Expo in Chicago November 17-19, organized by the United States Green Building Council (USGBC). Once the houses are constructed and evaluated for energy conservation and other aspects of sustainability, a grand-prize winner will be chosen and announced at next year’s Expo. The lucky inhabitants of the soon-to-be-available houses will find rewards over the long term, as the structures are intended to be more efficient than typical homes, and thus reduce living costs. Pictured with this posting are the houses designed by a group of recent Cornell graduates who have formed ZeroEnergy Design, an architecture and energy consulting firm. 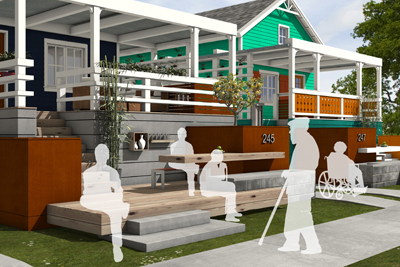 The group’s models, titled The Little Easy, feature storm water collection systems, wheelchair lifts for physically impaired occupants, and front porches that serve to tie the new houses to the surrounding properties. As China goes, so goes the rest of the world. That’s how British journalist Jonathan Watts frames the future. 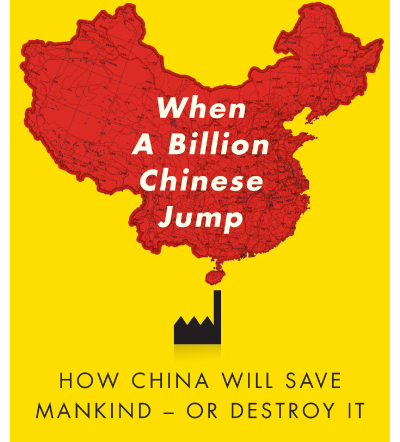 In When a Billion Chinese Jump, (due out this month from Scribner), Watts outlines two possible trajectories for the world’s biggest carbon emitter: it can reset its current fossil fuel-powered industrial development by becoming the first green superpower, or it can continue on its current course of staggering expansion against a backdrop of diminishing natural resources. On a six-month journey from the foot of the Himalayas to the country’s flat northern grasslands, Watts provides an account of China’s race into the 21st Century and explains the severity of the consequences of its decisions. The extent of the industrialization currently taking place becomes shockingly apparent in chapters detailing the construction of the world’s largest dams, emerging mega-municipalities like Chongqing, with its thirty-one million citizens, and the pulsating Chinese manufacturing lifeblood. This was supposed to be the year when the powers in Washington came together to pass new legislation on energy. Instead, it is a year that may best be remembered for an unprecedented oil spill and a missed opportunity at seriously addressing climate and energy security concerns. The announcement that the White House is being fitted for new solar panels comes as a potential sign of newly recharged aspirations, but for now the lack of a clear forward strategy simply means that these issues will only gain greater urgency. 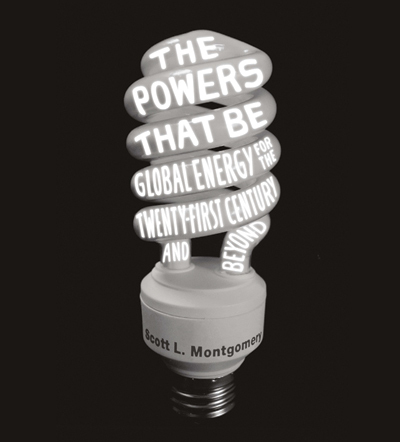 This places even greater relevance on the recently published tour de force of an energy guidebook, The Powers That Be (The University of Chicago Press, $35) by geologist and science writer Scott L. Montgomery. While conceding that a precise picture of the future is still impossible to draw, the book presents an encyclopedic account of the current landscape and a preview of the transformations and challenges awaiting us. The decades ahead will be ruled above all else by energy pluralism, according to Montgomery, given the fact that a greater set of options now exists than ever before and with advancements continuing to take place in each case. Yet in our energy present, 80 percent of the globe is still powered by fossil fuels. There is a tremendous upward trend in demand, mollified only temporarily by the recession and led primarily by developing nations, such as China and India, which are relying to an alarming degree on their domestic coal reserves. The issue is not one of resource depletion. The dream of a clean energy future may seem as elusive as a desert mirage, but against the sandy backdrop of Ras Al Khor Wildlife Sanctuary in Dubai, the design team of Martina Decker and Peter Yeadon envisions what might be possible with the right materials and a vibrant imagination. 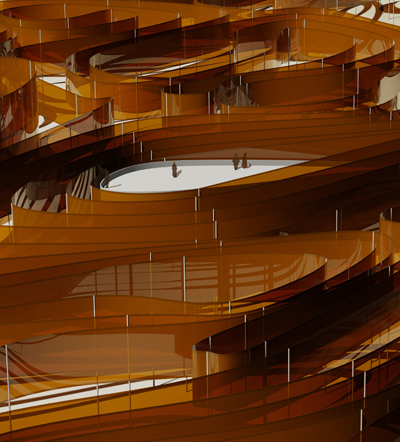 Light Sanctuary, a maze of auburn-tinted solar panel ribbons, may only exist as a concept for the moment; but the Decker Yeadon firm’s innovative plan for a photovoltaic installation could prove to be less a mirage than an oasis of clean energy generation. 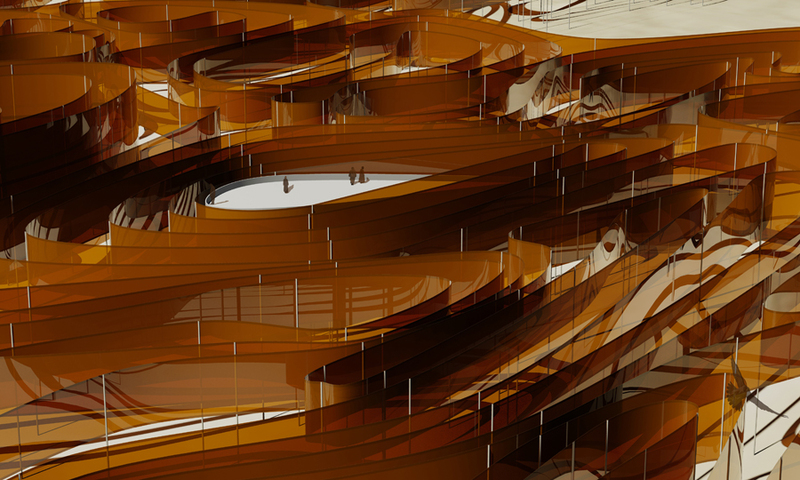 The design was created as a proposal for the Land Art Generator Initiative, a contest seeking environmental art projects that function as sources of renewable energy that are geared specifically toward one of three sites in the United Arab Emirates. Though extremely ambitious, a fully realized, completely assembled version of Light Sanctuary is absolutely possible, according to Decker. Spread across nearly 100 acres, Decker and Yeadon’s sculptural energy plant would incorporate twenty-five miles worth of dye-sensitive solar cells that would collectively generate 4,592 megawatt-hours of energy each year. These flexible solar panels are a cutting-edge third generation photovoltaic technology, which makes use of the light-absorbing capacity of organic dyes derived from plants. Though the panels aren’t known to produce as much electricity as other solar technologies, they are most effective under higher temperatures, making the hot desert a prime location for the installation. Having focused his lens on illegal logging practices in Madagascar and on the thirty-two coal-fired power stations in his native England for past investigative photo essays, reportage photographer Toby Smith now turns to the promising renewable energy sources of the future. 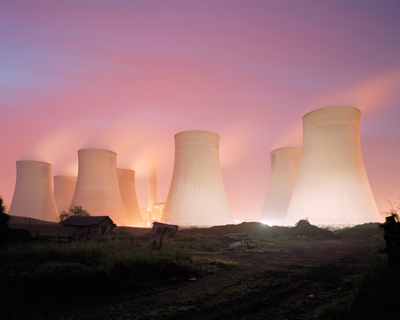 For his first exhibition in the planned series that he is calling The Renewables Project, he has captured snapshots of a power generation scheme that is actually far from new and has in fact been supplying electricity for decades essentially free of carbon emissions. Over the course of three months last winter in the Scottish Highlands, Smith exhaustively studied the region’s hydroelectric dams through his camera. With simple composition and framing, and by using long exposures, he has produced images that affectingly convey the vastness of the engineering systems at work and of the surrounding environment. The project is consistent with his regular approach of examining the nexus between ecology and human activity in a manner that brings to mind the Canadian photographer Edward Burtynsky’s reliably astonishing industrial landscapes. Before heading to China, where he will continue to explore alternative energy sources, Smith spoke to PLANET about the photos that he hopes will inspire an honest debate. While “sustainability” is possibly the hottest buzzword in the world of contemporary design, the term “net zero-energy” is comparatively unknown. 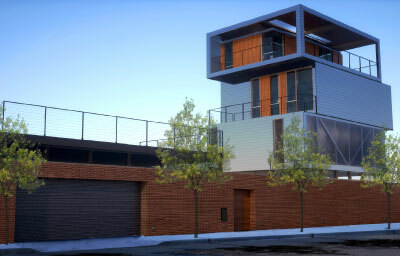 Red Hook Green, the newest project by the Brooklyn-based Garrison Architects, is likely to change that. The project is poised to be New York’s first net zero-energy live/work building — it will sustain itself through natural means, and contribute no pollution to our beleagured city air. The US Department of Energy defines a zero-energy building, or ZEB, as “a residential or commercial building with greatly reduced energy needs through efficiency gains such that the balance of energy needs can be supplied with renewable technologies”. What’s most revolutionary about the concept of a ZEB is that it asserts that city structures can meet all their energy needs from such low-cost, locally available, and renewable resources as solar and wind power. Red Hook Green is approximately 4,000 square feet and includes space for a studio/workshop, corporate offices, garages and a residential apartment — as well as an outdoor green space. Inspired by shipping containers (whose creative potential we covered earlier), the building’s form pays homage to the its Red Hook location, which has long been defined by its active shipping port. Composed of stacked, modular units, the design also takes advantage of the area’s incomparable harbor views. Here’s hoping that this initial effort allows the most greenest of design concepts to take root in the most urban of settings. Red Hook Green is to be completed by December 2010. Until that time, those interested can follow its progress through its blog. One mile north of Edinburgh’s city center, a composting shed has garnered a great deal of international attention. Boasting two Scottish Design Awards and an Excellence in Design Award from the American Institute of Architects, the seven-month construction project was conceived and executed by Scotland’s Groves-Raines Architects. Made from Corten steel and rebar — the steel used in reinforced concrete — the shed has the potential to strike a jarring contrast with the surrounding greenery. Yet the industrial materials are manipulated with traditional techniques, creating a structure that emerges strikingly naturally from its surroundings. Because the rods that make up the shed are inserted directly into the ground, the garden remains unaffected by any invasive building foundations. To create the dual-purpose composting shed and garden store, the architects relied on “a technique similar to traditional willow weaving” to make the steely walls more conducive to its earthy setting. 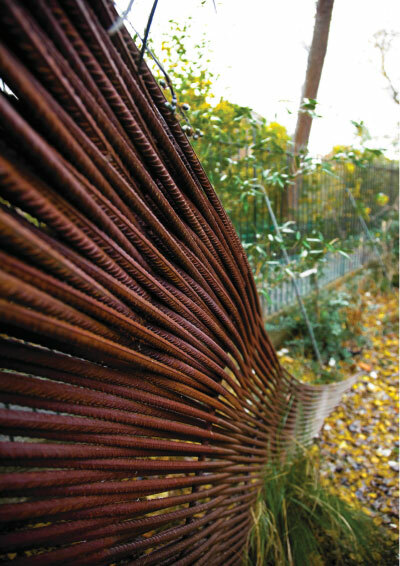 Bent into smooth curves, the rods lose much of the harsh quality often associated with industrial building materials and begin to blend seamlessly with the adjacent wooded area. 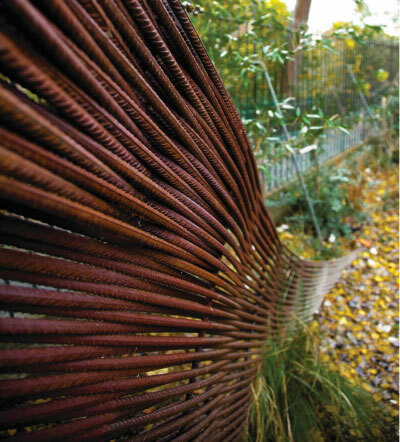 The woven rods allow air and light to stream into the shed, a benefit both practical and aesthetic. Lastly, the roof is made with weather-resistant EPDM lined steel and planted with grass, reinforcing “the connection with the wooded context” that the architects rightfully claim. By re-purposing the typical building blocks of urban architecture to create an “organic form” structure, Groves-Raines Architects successfully reimagines our uses for man-made materials. 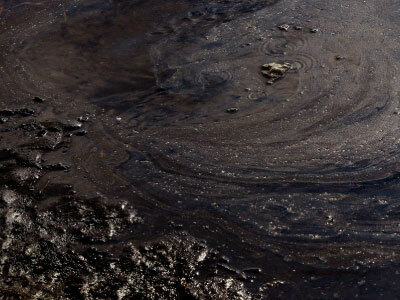 Watching the oil spill unfold in the Gulf has been devastating to witness. And “devastating” is even an understatement — from the ubiquitous photographs of oiled pelicans to the recent news that the amount of oil flooding the gulf is actually far more than we were told, meaning that the equivalent of the Exxon Valdez disaster has been spewing into the ocean every 4 to 6 days — there are simply no words capable of expressing the dismay and anger that we all feel as witnesses to this horrific level of environmental destruction. Bill McKibben, who we interviewed recently about his new book, has eloquently written about the wider ramifications we’ve missed in our coverage of the spill. We urge you to take a look. The National Wildlife Federation is accepting donations to help them save the more than 400 species of animals threatened by the spill, as well as looking for volunteers to observe the coast for signs of oil and injured wildlife. The Audobon Nature Institute is accepting donations to fund their triage units which treat marine animals such as otters and sea turtles. The Mobile Baykeeper is an Alabama-based organization currently devoting their efforts to the gravely threatened coast. Sophistication and sustainability are not words commonly associated with disposable dishware. But the Japan-based company Wasara has developed a product that takes the mind far away from the uninspired aesthetics of family barbecues and children’s birthday parties — not to mention, the nagging guilt over environmental waste — conjured up by your everyday paper plate. Wasara’s collection achieves the critical goals of modern design with a product that offers style, function, and sustainability. The sleek, all-white pieces transform into veritable works of art when stacked on top of each other. The collection includes a variety of plates, bowls, cups, and mugs. The multiple forms accentuate each individual food item, emphasizing the significance of each part of a meal. The unusual curvature and soft, natural texture allow for the plates to rest comfortably in one’s hand, bringing an ease to socializing while enjoying a meal. The collection’s noteworthiness, however, does not solely stem from its outward appearance. 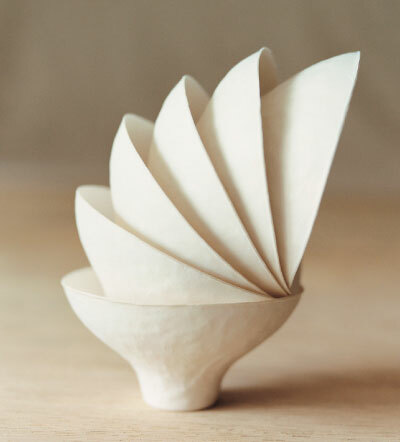 The dishware is made from reed pulp, bamboo, and bagasse — a byproduct of the sugarcane industry. 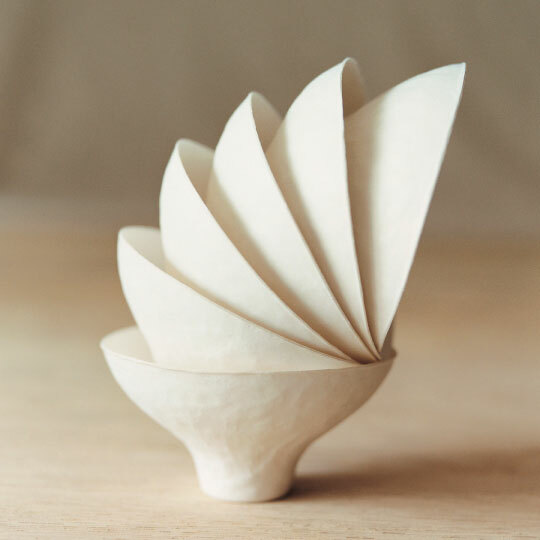 Reed and bamboo are both quickly-regenerating natural resources; the manufacture of Wasara tableware thus avoids the ecological impact of traditional, wood-based paper manufacturing. Bagasse, which often is discarded, is recycled. The resulting tableware is completely biodegradeable. Once discarded, Wasara simply returns to nature.